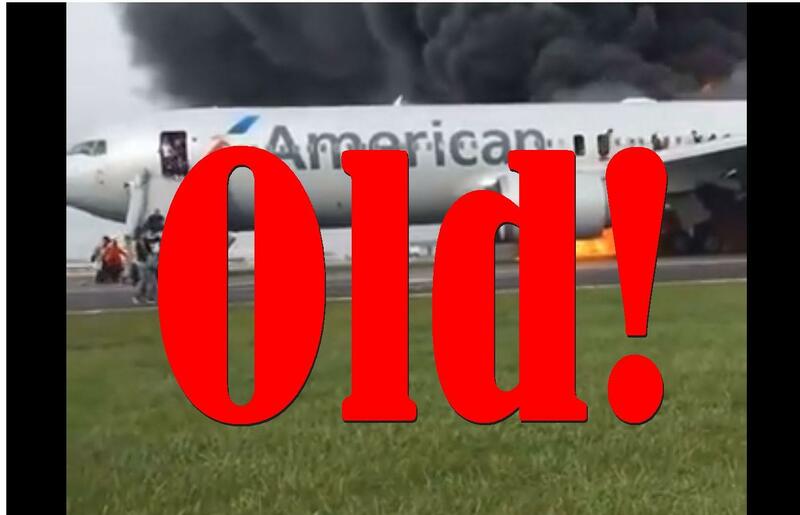 A Facebook page with the name "Newsroom" posted a video on January 25th 2018 that was supposedly live and which showed an American Airlines jet on the runway with an engine on fire as passengers evacuate. The comment under the video simply read "Airplane on fire!". The events took place on October 28th 2016 in Chicago after an emergency landing. : Correction: Fixed a typo in this story, the year of the incident was 2016, not 2017 as it originally read. That makes the video even older news.